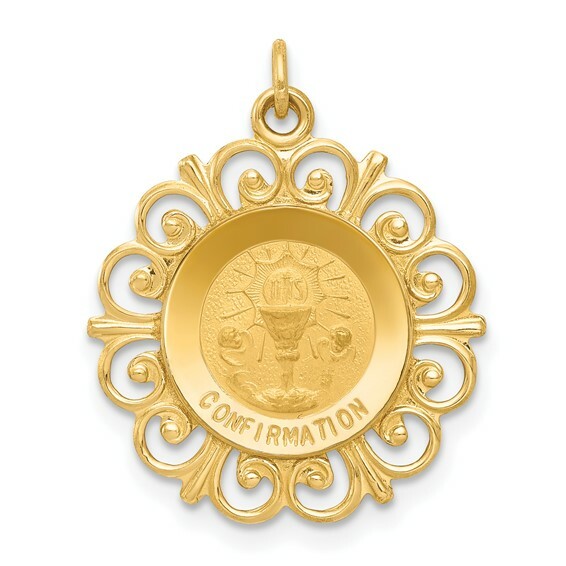 14k yellow gold confirmation medal has a fancy border. Item measures 3/4 inch round without loop and bail. Confirmation reaffirms Babtismal vows to accept full membership into the church. Pendant fits up to a 2.5mm wide chain. Die struck. The flat back is engravable. Weight: 1.37 grams. Made in USA.